When customers consider making a purchase, they rarely start by speaking to a sales rep. Long before reaching that point, they go online, compare-and-contrast products and seek opinions on social media. Then they might consider picking up a phone or walking into a store. Making a sale isn't what it used to be. Today's customers have an entirely different set of expectations, making it critical for any organization -- big or small -- to adapt and embrace the digital disruption happening across all industries. This means most customers are very well-informed before speaking to a rep. The days of making a quick sale are long gone. The way customers engage with companies has irrevocably changed. Today's customers are empowered like never before and the only companies who will thrive are those that place the customer as the centre of gravity. There isn't an SMB sales rep who hasn't faced pressure to make numbers. It's been that way since the very start -- mainly because companies are about making money and understandably want fast results. But in the digital era, where customer experience begets loyalty, and therefore business success, that must change. Salespeople who prioritize building that "sense of urgency" in customers to prompt faster sales will invariably lose to more patient, meaningful and accommodating approaches. Toss the typical sales pitches and change your company's mindset, championing a sales culture that prioritizes adding value for customers at every step of the journey over closing deals or meeting quotes. That is counter-intuitive for most organizations, to be sure. But the goal here is to create loyal customers for life, and that simply doesn't happen when sales reps are hyper-focused on short-term wins. Rest easy in the knowledge that, if your sales team is throwing a warm and constant embrace around customers, your quotes will take care of themselves. In fact, studies show a small 5 per cent uptick in customer retention can generate more than 25 per cent in profits. You might have heard of customer journeys but aren't exactly sure what they're all about. Simply put, it refers to a customer's entire experience with your brand, from the moment they read something about you online, to the research they do on your Web site, to their interactions with your reps, to all of their purchases - right down to that unfortunate moment they shift loyalties to someone else because something or someone along the line turned them off to your brand. It's everything. Average sales reps think in terms of how they can get customers in the door to tell them about certain products and hope they buy - on-the-spot. More sophisticated reps, especially those representing higher end products like cars or consumer electronics, might go a few steps further to do some research for the customer or by occasionally checking back with them (especially at the close of a quarter). None of this will pass muster in the digital era. Today's customers are more responsive to low-pressure sales people who offer assistance and enrich their experiences at every step of their journey with each brand. According to Gartner, 89 per cent of companies say they expect to compete mostly on the basis of the customer experience. 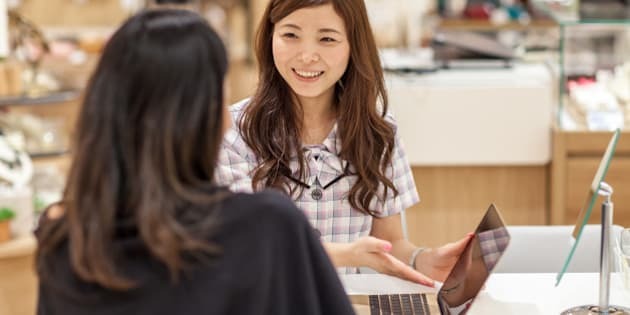 To find, win and keep customers today, sales reps should reach out early, often and over a long period of time with thoughtful and personalized advice. Providing more personalized customer experiences means knowing something about them. That makes sense, right? So, savvy sales reps in the Digital Age will utilize a wealth of technology tools to gather, analyze and make predictions about customer behavior in order to offer the kinds of services and support they need. Unfortunately, most sales teams still adhere to outdated practices like manually inputting customer information to a spreadsheet, when it comes to tracking how they manage customer relationships and amass useful and actionable information about them. Given how draining and inefficient this can be, it's not surprising that having time constraints was one of the top business-related issues keeping SMB owners up at night, according to a recent Salesforce report. What was surprising was the fact that fewer than half (49 percent) of respondents said they are taking advantage of business process automation tools that could alleviate their pain. SMBs looking to reboot the way they operate should consider upgrading to a customer relationship management (CRM) solution. These systems enable every sales rep with access to the latest customer data - anywhere, anytime and from any device - and empower them to put their best foot forward with every customer. The right CRM solutions offer business analytics and artificial intelligence (AI) tools built right into them to help SMB sales reps better know and serve customers as never before. What's more, these solutions can put reps in a much stronger position to compete with larger, less nimble companies by beating them to the punch with more innovative offers and services. No doubt, competing in the digital age can be demanding. But the good news is there is a wealth of technology available to help automate the process of providing outstanding experiences. And by successfully adapting sales approaches toward building long-term loyalty, SMBs can have satisfied customers coming back to them again and again.